bony, basin-shaped structure that supports the organs of the lower abdomen. It receives the weight of the upper body and distributes it to the legs; it also forms the base for numerous muscle attachments. 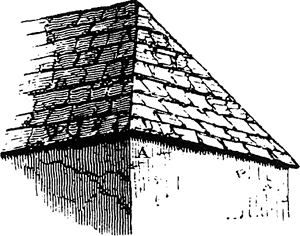 The external angle at the junction of two sloping roofs or sides of a roof: the rafter at the angle where two sloping roofs or sides of a roof meet. The region of the junction of thigh and trunk. The hip joint, formed by articulation of the femur and hipbone. The external angle formed by the junction of two sloping roofs or the sides of a roof. A rafter that is positioned at the junction of two sloping roofs or the sides of a roof. 1. The external angle at the junction of two sloping roofs or sides of a roof. 2. The rafter at the angle where two sloping roofs or sides of roofs meet. 3. The joint of a bridge truss where the top chord meets the inclined end post. This same review written by Hepper (1996) delves into the function of fetal memory and the concept that fetal memory is of great importance. For example, getting high school students to think about going to college hasn't always been a clear goal for all schools, Hepper said. 8220;Another big benefit,” Hepper continued, “is that the new system will allow the general public to access inspectional results for all licensed food, lodging and campground facilities in the state. 2002; Wells & Hepper, 2000; Wells & Hepper, 2001). The way that it does that has yet to be fully understood," says Hepper. She and colleague Prof Peter Hepper introduced subtle changes at a shelter in Northern Ireland and observed the effect on 120 dogs. It's a significant problem,'' said Douglas Hepper, a staff veterinarian with the meat and poultry inspection branch of the California Department of Food and Agriculture. Professor Peter Hepper said: "Girls moved their mouths more frequently and for longer periods than boys. Hepper and Reynolds(4) reported experimental proof that the papyrus pith did not contain starch. The transaction closed on July 26, 2012 and was led by John Neuner and Darwin Olympia from the firm's Diversified Industrials (DI) Group, Joe Conner from the firm's Transportation & Logistics (T&L) Group, and James Clark and Paul Hepper from the firm's Healthcare & Life Sciences (HCLS) Group. The bill will also feature Carl Wilson against Christian Adjoufack, as well as potential local scraps for Neil Hepper and Kyle Redfearn. Cope's younger brother Peter had been expected to face Neil Hepper in a super-lightweight contest, but with only two four-rounders under his belt since returning to the pro ranks after two years, Darlington's Hepper felt he was not yet ready for six.